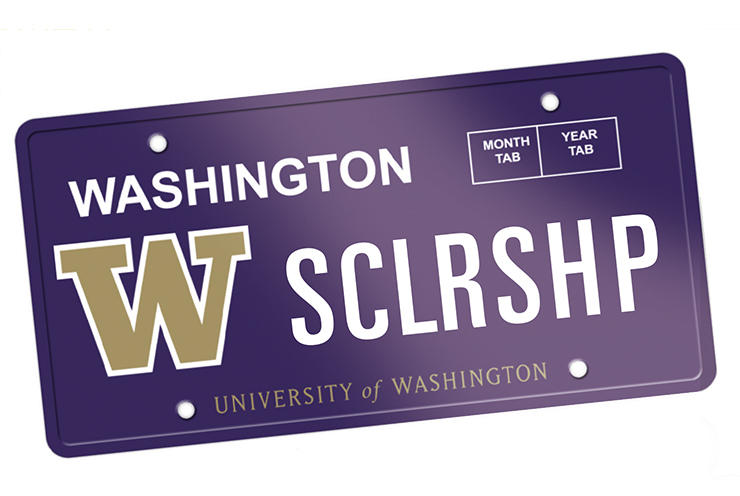 Help us catch the Cougs by adding purple pride to your license plate—and raise money for students along the way. Thousands of Huskies, in fact north of 11,000 of them, have taken their pride on the road this year by purchasing purple license plates. Since each plate sold or renewed directs $28 to the UW for the general scholarship fund, the Huskies have brought in more than $311,000 to help students just this year. While we’re one of the top contenders in the state plate game (Western, for example, has just 832), we lag behind our cross-state rival, which is closing in on 24,000. FYI, you don’t have to be an alum to get one and you can purchase your plate anytime.